GLENS FALLS NY – Mannix Marketing has made the Interactive Marketing Awards 2019’s shortlist for entries in two different award categories. Mannix was named to the shortlist for “Best Interactive Marketing – Health & Beauty” for its organic SEO and Paid Search program for Eddy Senior Living, and “Best PPC Campaign” for its Google Ads campaign for Piano Showcase. Presented by the organizers of the US Search Awards, the second annual Interactive Marketing Awards will celebrate and reward excellence in interactive marketing campaigns, agencies and in-house teams. The awards feature 28 categories and attract hundreds of entries from leading search and digital agencies from across the US, as well as those based elsewhere around the globe who are delivering work for the US market. Earning a place on the shortlist in any category is a notable accomplishment, as only incredibly well-qualified campaigns and organizations make it through as finalists. The awards are judged by a panel of international industry experts, who use a robust, credible and transparent two-step process involving pre-scoring and a face-to-face panel discussion. Last year, Mannix Marketing was not only shortlisted, but received the 2018 Interactive Marketing Award for “Best Social Media Campaign” in recognition of the agency’s work with New Way Lunch. Developed and facilitated by Senior Digital Marketing Strategist Lisa Bishop and Digital Marketing Strategist Danielle Martindale, Mannix Marketing’s shortlisted campaign for “Interactive Marketing – Health & Beauty” focused on improving Eddy Senior Living’s online presence, increasing phone calls and contact form submissions, and ultimately increasing occupancy in the Eddy Senior Living retirement communities. The strategy for this immensely successful campaign leveraged a combination of on- and off-page marketing strategies. The result was a 27% increase in website traffic and an outstanding 1,248% increase in conversions, which translated into a 159% increase in sales/occupancy. Mannix Marketing also received a shortlist nomination in the “Best PPC Campaign” category for its work with Piano Showcase, the world’s largest distributor of ‘Schaff’ piano benches, lamps, covers, dollies, parts and tools. Developed and managed by Martindale, the goal for the PPC (paid search) campaign was to increase sales from Google Ads and decrease the cost per conversion. In just six months, Mannix Marketing was able to increase conversions (phone calls, contact form submissions and orders placed) by a stunning 97.3% compared to the previous year. Overall number of sales increased by 88.2% and the cost per conversion decreased by 68%. 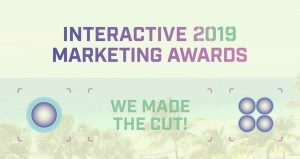 Winners of the Interactive Marketing Awards 2019 will be announced at a celebratory gala dinner on March 6, 2019 at Fort Lauderdale Convention Centre. 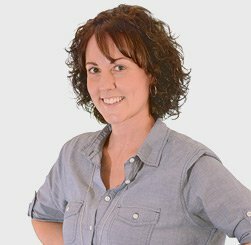 Lisa Frawley joined the Mannix Marketing team in 2016 as a Digital Marketing Strategist. With nearly 20 years of marketing and communications experience, and a strong background in writing, Lisa enjoys regularly contributing to her clients’ blogs and social media campaigns, as well as providing on-site optimization and developing rich SEO-friendly website content. Lisa earned her bachelor’s degree in marketing from Hofstra University on Long Island, and went on to work with several national brands – including 1-800-FLOWERS.COM, Marvin Windows & Doors and UPS – before returning to her hometown of Glens Falls in 2012. Now, as a member of the creative Mannix team, Lisa is delighted to use the knowledge and experience she’s gained to help both local and national clients maximize their presence on the Internet. When she’s not helping clients get found on the web, she enjoys dance, yoga and teaching group fitness classes.